Most of us would consider the emergence of large-scale communication networks to be a 20th century phenomenon. Yet, the first nationwide data networks were built not in this century but almost 200 years ago. Well before the electromagnetic telegraph was invented, many countries in Europe had fully operational data communications systems, with altogether close to 1,000 network stations. This book gives a fascinating glimpse of the many documented attempts throughout history to develop effective means for long-distance communications. The oldest attempts date back to millennia before Christ, and include ingenious uses of homing pigeons, mirrors, flags, torches, and beacons. The book then shows how Claude Chappe, a French clergyman, started the information revolution in 1794 with the design and construction of the first true telegraph network in France. Another chapter contains the first complete English translation of a remarkable document on the design of optical telegraphs networks, originally written in 1796 by the Swedish nobleman Abraham Niclas Edelcrantz. Gerard J. Holzmann is a Dutch-born American computer scientist and researcher at Bell Labs and NASA, best known as the developer of the SPIN model checker. 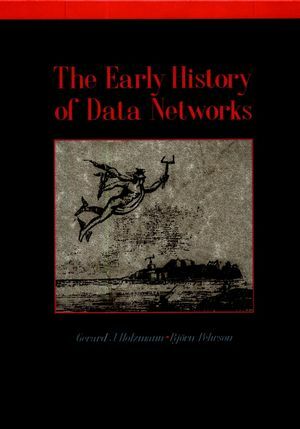 Björn Pehrson is the author of The Early History of Data Networks, published by Wiley. Chapter One. Torches and Beacons. Chapter Three. Abraham N. Edelcrantz. Chapter Four. A Treatise on Telegraphs (from 1796). Appendix A. Letters to Gentleman's Magazine.